If greatness often lies in simple things, then this sweet-and-sour condiment is an extraordinary product. 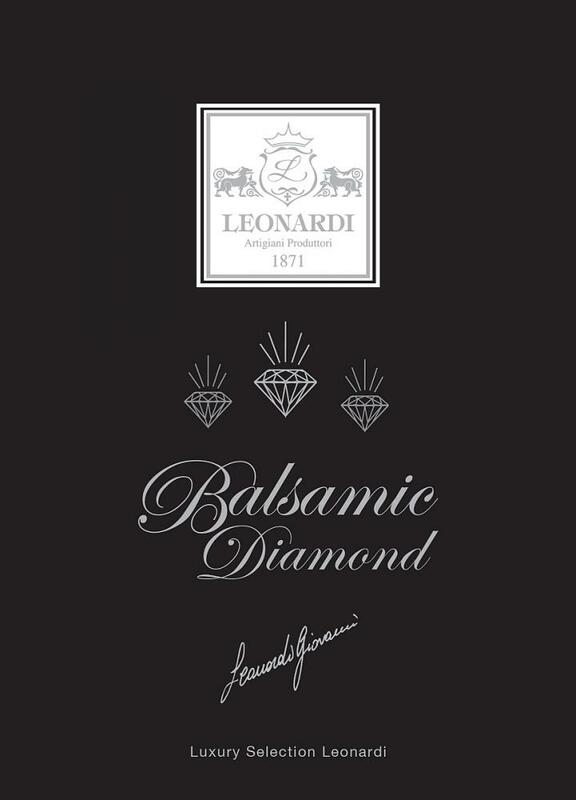 The oldest reserve of the Leonardi Family, was born in the middle of the 19th century from the must of selected grapes, slowly cooked in open top caldrons then acetified and aged in barrels of various woods. Along the course of its slow maturation, it has been through 150 transfers in different barrels, acquiring the typical features of each wood and becoming the absolute Patriarch of Acetaia Leonardi. 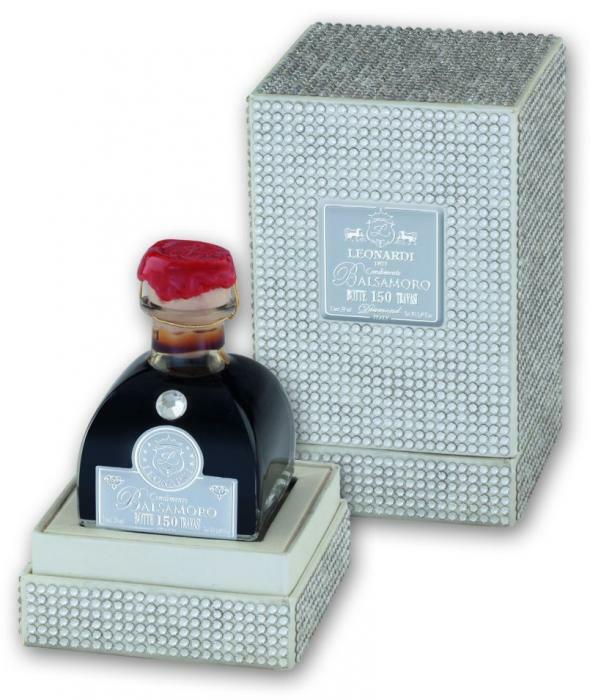 The package is as precious as the content: the bottle is adorned by a multifaceted crystal and lies in an amazing box entirely covered by almost 4000 SWAROVSKI® ELEMENTS with brilliant cut. 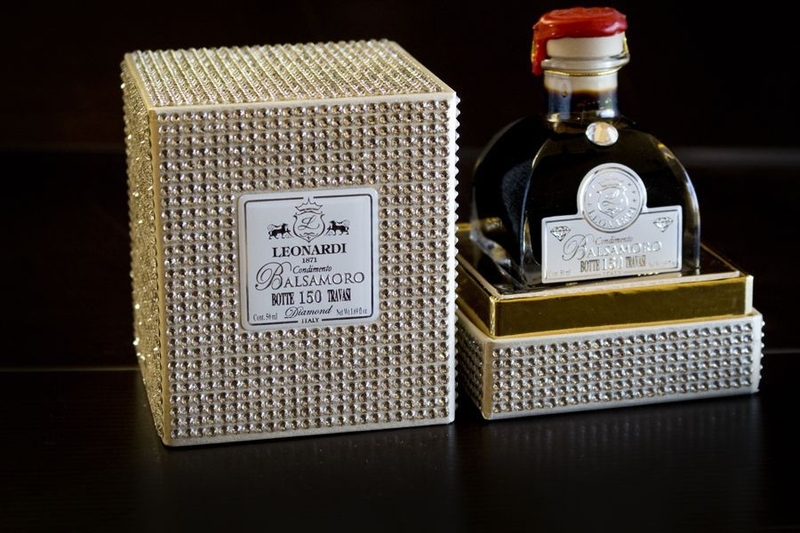 Excellence of Modena wears its best suit to glitter on the tables of connoisseurs who want to surprise and be surprised. 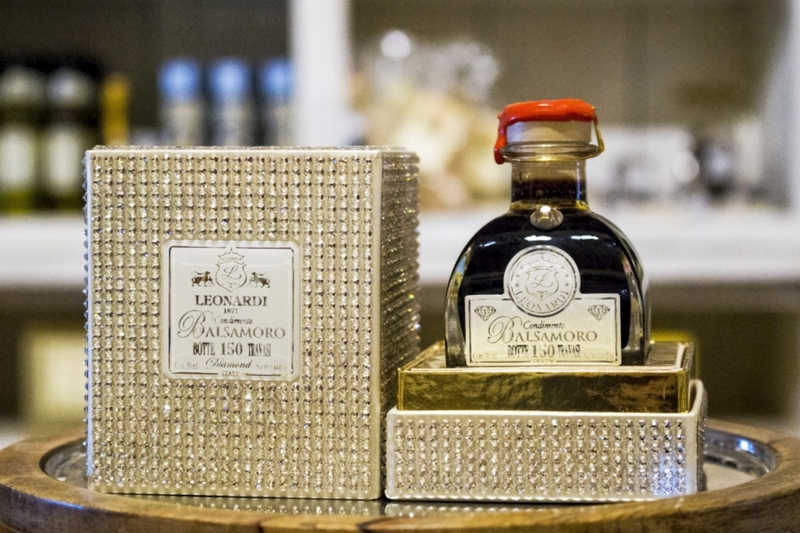 No cooking suggestion needed; this elixir can be enjoyed pure at any time of the day, to stimulate your appetite or as an after diner for its digestive effects. It will anyway exalt any type of dish, from appetizer to dessert. 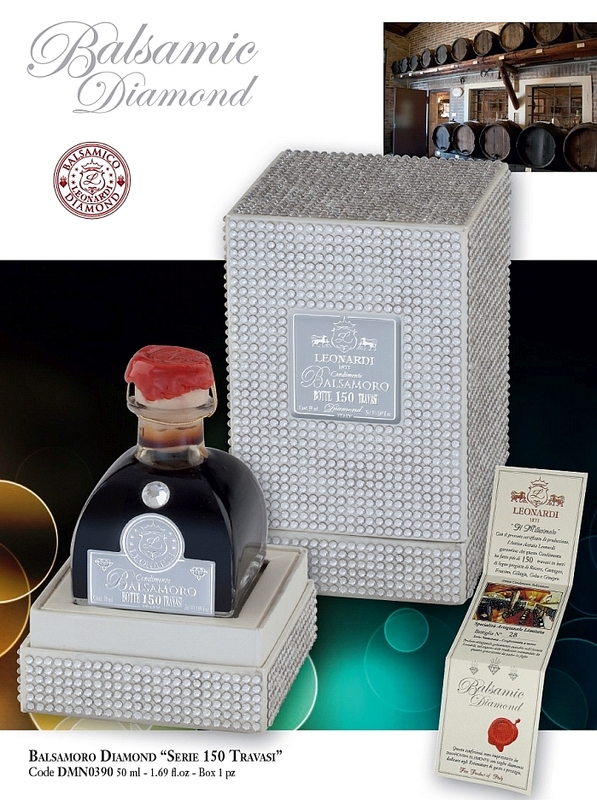 Each piece is unique, handicraft and including a certificate of authenticity. Available on reservation only. Use the contact form to ask information about the selected item. The mandatory fields marked with an asterisk must be filled.